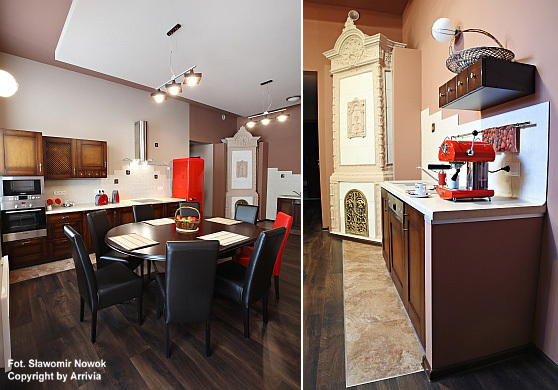 Although Arrivia Bed & Breakfast is located in one of the main streets of Łódź, it’s quiet and tranquil inside. All windows overlook a spacious, sunny area where you can see the modern building of the Orchestra Hall and Bałtyk Cinema. The interior of Arrivia Bed & Breakfast is very calm and relaxed. All our rooms are equipped with comfortable beds and bathrooms. 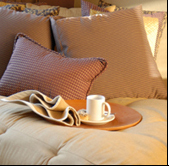 We know well that for each of our guests something else will be the most important: soft carpets, white, striped bed linen, TV set in a room or maybe delicious coffee in the morning. Our fully-equipped kitchen is easily accessible from any point in the B&B and is open at all times. This is where the guests and hosts meet in the mornings for breakfast.